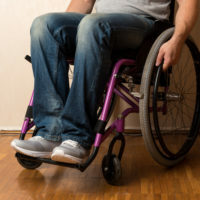 If you suffer from a disability so severe that you cannot work, you may be aware that help is available in the form of Social Security Disability benefits. However, you may not have applied for benefits. What’s the use, you might think. You’ve heard so many stories from friends and family members who have been denied benefits, so why waste your time? While getting approved for SSDI benefits is not the easiest process, some do get approved the first time around with no issues. The current allowance rate is at 33 percent, which means that two-thirds of applicants are denied. But don’t give up hope. By learning about how the process works and debunking common myths, you can increase your chances of approval. Many SSDI recipients are disappointed when they receive their first benefits check. They expect the benefits to cover most or all of their paycheck, but that’s hardly ever the case. These payments are quite small, averaging just $1,165 a month. These benefits are meant to assist with basic living expenses, not totally replace lost income. Your payment will be based on your income, though, so the more you earned before your disability, the more you will receive in benefits. The decision to have you receive benefits is a legal one. While your doctor must provide honest and accurate information about your medical condition, it’s up to the Social Security Administration to make the final decision. Many recipients do receive SSDI benefits for the rest of their lives. Some disabilities, though, are temporary and do improve over time. Your condition will be reviewed from time to time to determine your continued eligibility for benefits. These reviews may occur anywhere from every six months to every seven years, depending on the severity of your condition. Don’t be embarrassed to provide the necessary information. The more information you give the Social Security Administration, the better your chances of getting approved. Be sure to provide sufficient evidence of your disability. Payments are not retroactive to the date of your disability, nor are they processed right away. It can take up to five months to process your payments. If you are approved, you will receive a letter with your effective date. Your first payment will be for the sixth month after that, and you will receive that month’s payment in the following month. Therefore, patience is key here. The Social Security Disability process is not meant to be easy. It is strict and rigorous to help prevent fraud, but it can be frustrating for those who are truly disabled.